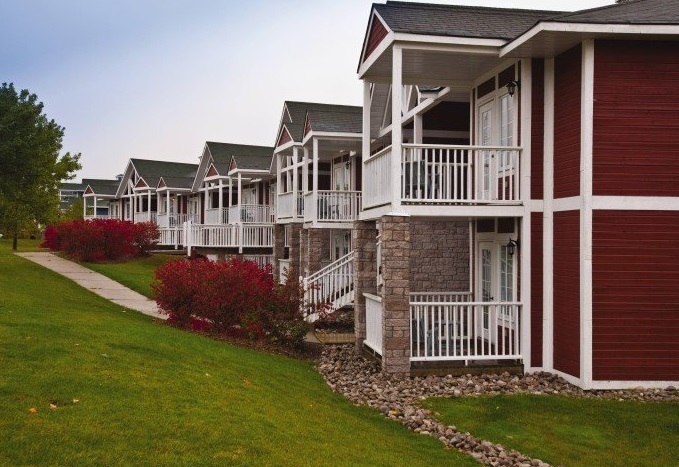 Carriage Hills Resort is an all season luxury retreat in scenic Horseshoe Valley. Enjoy year-round Carriage House Recreation Centre which includes a large heated indoor/outdoor pool, fitness centre, whirlpool spa, children's pool, game room and family programs. Close to shopping, dining and Casino Rama. Toronto and area attractions are within one hour. Winter amenities are downhill and cross-country skiing, snowboarding, snowmobiling trails through the Copeland Forest and skating. May- October enjoy 27-hole championship golf, hiking, mountain biking, horseback riding or fishing in nearby rivers and lakes. Large Heated Indoor/Outdoor Pool, Exercise Area, Locker Rooms, Billiards Room, Children's Playground, Library, Spa, Children's Pool, and Games Room. Additional amenities/activities include Conference Facilities, Cross-Country Skiing, Downhill Skiing, Golf Course, Restaurant, Sauna, Ski School, Snack Bar, Squash Court, and Indoor and Outdoor Hot Tubs.